lives. There are lawyers who make lots of money from felons and their families hoping to have some miracle worked and their records will gone forever. Since most employers do background checks, having a clean record will make getting a job easier. Having certain convictions on your record may be the difference between getting hired for a job or not. Lets explore some common myths and uncover the facts about expungement. I am not aware of any state that erases records after automatically. In fact no records are ever removed, they may be made inaccessible to the public. There must be legal action taken if there any sealing of records. There is an application process that completed for any type of action to be considered. Nothing happens automatically. Expungement is a legal process that not available in all states. These processes will vary from state to state as to which records can be sealed or expunged. For example, in NJ where I am, only one felony can be expunged and the waiting period is ten years from the completion of the sentence. In some states no records can expunged and in others only arrests not convictions can be sealed. Never attempt any legal procedure by yourself. To be certain that any legal process is done properly, You should always seek the help of a qualified professional with experience in this field. Federal convictions can in no way shape or form be expunged or sealed. The only action that can be taken is to seek a presidential pardon and very few are granted. 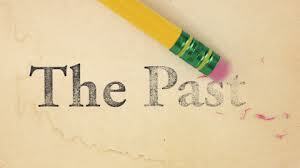 With expungement, sealing or any other process, records will never be erased or destroyed. Even though certain records will be hidden from the public, they will always be visible to the court system, government agencies and law enforcement. This a brief list of common myths associated with the the expungement or sealing of records. Bear in mind that these processes are not available in every state. Every state has its own statutes regarding the treatment of criminal records. If you are interested in finding out if you are a candidate for expungement, I suggest speaking to an attorney about availability in your state. I also suggest that you contact your local legal aid office where you may qualify for free advice about this or even help getting it done. Most legal aid offices are staffed by young attorneys who are anxious to help and gain valuable experience. To find your local legal aid office, check your telephone directory or contact the bar association in your state.